One of my Skype clients was recently searching for an in-person therapist to see her husband and decided to ask for a referral from an eminent professional in the city where she lives. With an international reputation, this man has authored several books and is frequently invited to speak at conferences all over the world. Not long after she left a voice message indicating that she’d like him to suggest a referral, he returned her call and offered himself as a candidate. Because she had assumed (given his reputation) that he’d have a full practice, his offer took her by surprise. She felt (and I also felt) that those openings in his practice didn’t reflect well on his skills as a therapist. After the session in which she and I discussed the referral, I thought differently about it. I recognized my underlying belief, one I suspect is shared by many of my colleagues: in order to appear successful as a therapist (and in many other professions), you cannot appear needy. Back in Los Angeles, my colleagues and I taught classes and supervised interns and gave papers in order to build our practices, but rarely asked directly for referrals. You must put yourself forward as a competent authority, hoping that other people will see you as such and then send referrals your way. Or you buy private supervision from one of the rainmakers in the field, often for years, until they eventually decide to feed you new clients (the president of my institute once privately described it to me as “indentured servitude”). You do all these things to get the clients you need in order to sustain a practice but you’re not supposed to ask for them. The eminent therapist who asked my client to consider him as a candidate thus looked too needy. In this warped view of mine, expressing need disqualified him as a therapist. In order to get what you need, you have to appear not to need it. Is that crazy? I’m embarrassed that I still hold this view on some level. It feels like a kind of hypocrisy: the people who come to me for therapy often feel ashamed of their own needs, feeling as if they must hide their neediness or be rejected; I always try to help them acknowledge those needs and feel brave enough to ask for what they need in their relationships. Do as I say, not as I do. Tsk tsk tsk. I feel some embarrassment even now because I need your help, but I’m going to ask for it anyway. 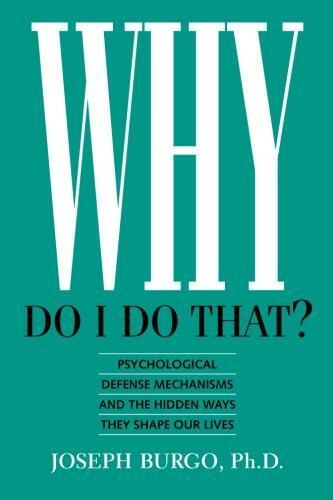 As you know, my book Why Do I Do That? will be released later this month — on October 29th, to be precise. Because I withdrew from my contract with New Harbinger Publications, electing to release the book on my own, I don’t have a publicity department behind me; I must take charge of all the promotion myself. I’ll be doing my best to promote awareness through press releases and scheduling interviews, but the greatest potential for making this book a success lies with you, the regular readers of my posts. I’m asking for your support at this critical time. As you may know, I’ve been writing this website for just about two years now. As of today, I’ve written 168 posts averaging 500-1000 words in length; there are over 5,100 comments on the site, almost half of them mine because I try to answer nearly every reader who submits one. In addition, I’ve received hundreds of private emails from people asking for advice and I’ve answered every one of them. I don’t charge for answering a comment or replying to an email, nor do I accept advertising on my site. After Psychotherapy has been a pro bono labor of love and I plan to go on with this non-paying venture; my efforts are more than repaid by the gratification I derive from writing and sharing my ideas, and from the gratitude of the people I reach. I’d like to make some money off of my book, of course, but even more, I want it to be successful. I’ve been writing since I was 12, and the publication of this book is a very big deal for me. If it does well enough, I may get the attention of a more mainstream publisher and have the opportunity to reach a larger audience. I’ve so enjoyed having total artistic control over my book that I’m not sure I still want to go that route, but at least I’d like to have the option. My research tells me that I need to rank well on Amazon, and that becoming an “Amazon bestseller” for even one day is important. In order to do, that I’ll need your help. 1. Buy a copy of the book from Amazon, preferably on October 29th. The trade paperback version (242 pages) costs $14.95 and the eBook $8.95. Ask yourself whether the time you’ve spent here and the posts you’ve read have given you insight or enjoyment worth 15 dollars. It’s your chance to give something back to me and I need it. I’ll also be very grateful! 2. Let other people know about it. Tell friends and put something about it on your Facebook status. Word of mouth is everything. 3. After you read the book, write a review on Amazon and/or one of the other book review sites like goodreads.com. Hopefully it will be a positive review: the number of good reviews a book receives correlates well with sales. Some time during November, I’ll make both the print and digital versions available on Barnes & Noble, the eBook only on iTunes. If any of you have your own websites and would be willing to review the book, please write and let me know (afterpsy@gmail.com); I’ll send you an advance digital copy. I’d like to coordinate a number of reviews or mentions right around the time the book comes out. Or if you know someone else who might be interested in reviewing it, please let me know. Finally, if you have any suggestions for other ways to promote the book, please do not hesitate to tell me. I just ordered your book, the paperback version, on Amazon and will be happy to write a review after I’m done reading it. As a regular reader, I’m wishing you much success with your book. Thanks, Amanda. For some reason, Amazon made four copies of my book available though I’ve removed it from distribution until October 29. You got the last one and I’m glad you did! I’m glad. I’ll let everyone know when it’s actually available. I have a Kobo. ill I be able to read this in November? According to my research, Kobo will accept a MOBI file, the format that Amazon uses, so you should be able to buy it on the 29th. Hi sure I will buy the book on Amazon, I DO not have a I PAD or ereader yet am hoping in very near future to. I like to read self help books but there are so many that I never know which ones to read. Since I have got some messages back from you and read some of your blogs, I am very interested in the book. I do have a group on fb, and i can give you some publicity, I do not do it a lot but one other person who writes poems also got to get some publicity on my group. I also will post your book on the Canadian MENTAL health page, they post a lot of useful mental health resources. I will write a review after reading the book. I think the last self help book I READ was the dance with anger, something like that. Thank you, Sonjia (or is it Sonja?). Reviews on the book sites, including Amazon, are very helpful. Okay, will do I am looking forward to reading your book. I am sure it will be very interesting, professionally written [but understandable to the lay reader] and insightful–just like your posts-I will share on f/b too. Just to let you know – I’ve just tried to order your book from amazon.co.uk and it isn’t listed. Is it available on the U.K. site? I’m looking forward to paying $15 (or the sterling equivalent) for what I’m sure will be a very worthwhile read and I’ve certainly gained far more than that amount in insights and understanding from your posts and videos. Finally, well done on breaking your script and asking for help – truly practicing what you preach! That’s because I want to hold off all orders until October 29th. If I can concentrate the orders on that date, rather than spreading them out over several weeks, I have a better chance of getting some notice from Amazon. And thanks for your support! Will the book be available on PDF or some other format one can read on a normal computer? I don’t want to buy a Kindle or a similar device and I’d rather not wait for Amazon to ship it to Italy. Let me see about that. I can make a pdf available but I need to learn how to do that. The book will be listed on Amazon Italy, if that helps. Yes, thank you very much!!! I’m really happy with the cover, too. Simple but striking. Thanks! To help with sales/pre-orders, a link to your book on Amazon, perhaps even through the image of the cover will help tremendously. Unfortunately, in order to be able to book advance sales, you have to enlist in a different Amazon program that substantially lowers the royalties. But as soon as it’s available, I’ll have a link from my website directly to the order page on Amazon. I almost can’t wait! I apreciate that you wrote it without publishers interfering with it as I believe it makes the book more genuine. On the subject of therapists having needs I think that when you tell someone who is not a therapist that you won’t help them then you can expect them to think you are in a “bad” mood, tired, don’t have time or are just being nasty. However, if you tell a therapist that you won’t help them then you have the added danger of them thinking or discovering that you are a defective person. Still, I think a therapist does good when expressing his or her needs ( so long as they are reasonable) so the client can then have a good example of mental health to prevent them from believing mental health is being some kind of buddhist monk and having little to no needs. Exactly. Given some of the responses to my earlier post on the sliding scale for fees, many people do expect therapists to have very few needs. I read your blog regularly, leave comments, and I will buy your book out of genuine interest in it. I do though, have a couple of point to make. You say that ‘in buying your book we can give something back to you’. I would like you to understand that we already do. You take time and effort to write your posts, and from what I’ve read, most people who reply take the same time and effort to post thoughtful and intelligent comments. Both acts are an act of love, they require effort and work. Trust some of us at least, to be competent, experienced people, who can offer insight and wisdom. Allow some of our knowledge and ideas to penetrate your ideas without you stewarding and reading it as the ‘preserved therapist’ which automatically confers upon us who comment a sub-alterity. Despite platitudes, if you are feeling ingratitude, then shred your therapist’s robes and bay in the mud with the rest of us, you’re invited!!! I appreciate your work, I have no doubt that your book will do well. Why? If two people each made a vase and sent it to a shop for sale, watch how the one that was made with effort and love is picked off the shelf first. The imagining of greatness and competence is only that, one is what one does, the therapist you speak of in this post truly understands that. I hear you, Warren. And thanks. It’s interesting what you’ve put here. I’ve read into Dr. Burgo’s writings some of the same. Usually, I do an internal eye-roll and “Oh, Joe, don’t be so insecure!” (or similar “whatever” sentiment) when I come across those kinds of “talking down to” moments. It’s part of what makes him, his writing, his blog all that much more interesting, and includes us in his profession and his humanity. Those are my two cents, of course. So now I’m talking about him like he isn’t here. Warren, I enjoyed your “bay in the mud with the rest of us” – for some reason I’m still chuckling. Maybe I need to see a therapist. Don’t go see a therapist, they f**k you worse than lawyers!!! If I were Joe’s therapist, I’d say pick a day in your diary to take a roofie ha ha ha. Now I’m talking like he’s not here . . . it’s very rude. Joe, whatever happened to that beautiful autumnal picture on the last blog; could you give us some tranquil wallpaper, an impressionist painting perhaps? Warren, I hired someone to do some minor changes and he decided to completely revamp the site. But it’s back to normal, now. I’m going to change the color scheme for the borders/captions and change the video box to something about my book, but otherwise it will be the same. Yes, it does. And thank you. It’ s my wife’s birthday on 29th. I’ll buy it for myself and the advice it gives me wiil help me with a better relationship as a permanent birthday present in addition to the small piece of jewelry that I plan to buy. I’ll also recommend it to my Facebook friends. I really appreciate that, James. Thanks (and happy birthday to your wife)! I will certainly order and read your book, and although I live and work in Seville, Spain, where I have most of my contacts now, I will pass on your information. I do understand that ” I don´t need” when you really mean “I do need”! I´m actually looking forward to reading you! Hi Magdalena, nice to hear from you. As I understand it, the book will be available on the Amazon sites in Europe, including Spain. And I agree, there’s nothing wrong with networking. When I lived in Los Angeles, I had a small group of colleagues who referred to one another and that was the best. If one of my clients needed a therapist to see a spouse or close relative, I’d send them to one of my colleagues who would do the same in return. Well done, Joe. Both the book and this post! I added your book to my Amazon wish list! When my semester is over and I can get the book I’ll give it a read. Can’t wait to read it! I’d be happy to do a review on my site. (Unfortunately it has only a small readership.) I can then put a modified version of it on Amazon. Thanks, Evan. It’s on its way. Got it. Many thanks, Evan. Thank for taking a step of faith and sharing your needs with us. I am ethusiastically waiting on the 29th and do what little I can to support and promote you writing. I hope that your book in its digital version won’t be limited to the US users only. I prefer to buy it in MOBI format and read it on my Kindle, but at times, and for some peculiar reasons, some publishers do not allow digital books to be sold for non-US residents, and then you have to buy the paperback version, which isn’t that convenient for me due to, inter alia, relatively high shipping costs. Looking forward to read your book and help you spread the word. Mark, it’s going to be available in the UK and all over Europe in MOBI format via Amazon. Thanks. Traditional publishing does have its pitfalls BUT what it does have is the 411 on marketing, which is half the battle when trying to get a book read by not a few hundred but a few hundred thousand people. Your journey will be slower, but you have a great plan up there for getting started. I found you on Twitter over a year ago and have been a reader ever since. Thanks for including your fans and followers (and clients) in your life’s work. I will definitely support your book. I have shared this article with my mental health therapist and family and friends that are still learning and in their healing journey. One therapist is from a world renowned Health care center in Ontario Canada. The courses I took there were life altering. A safe place to process intense pain. I am also thankful to my current therapist who directed me to your site. I am just now grasping defenses and shame. I need to read your book to fill in puzzle pieces as I realize there are set backs after psycotherapy due to not having enough comprehension of our ongoing triggerscand subsequent reactions to trauma and how they sabotauge continual work. I thought I was a failure because I couldn’t sustain what I learned to apply. Now I realize it’s a process which was kindly inculcated by the therapists yet my academic addiction expected a pass 100% grade after being in two separate 8 week courses in hospital. One was Integrated Mood and Anxiety Program and the other Post Traumatic Stress Disorder. I have the resources in my mind and heart to build on my work as I navigate through life. However, I am still searching five years later for a professional that I can work with. Many professionals I’ve seen have encouraged me to go back to school and join the profession due to my thirst for understanding the theory. This aside I was able to draw patients out to share their feelings and story as a peer and in group. I have expressed that my skills come from my childhood necessity to parent and fill in for my Mother’s role as an intimate partner. I am spent in this area. I have done and given all I can to help my Father. I was the one that patiently gave compassion and a listening ear to a parent that had Multiple Personalities. Unknowingly I have had relationships with his child ones and at timed visiting Dad has been scarey as I realize the children are coming out to visit not necessarily the adult. Thankfully he has taken resonsibility to heal himself through therapy and medication and has given me full permission to share what I went through without feeling guilty. Easy to say harder to do. He is in his early 70’s now and is open to hospitalization or a seniors home for the mentally ill. The movie Identity with John Cusak was scarey for me at the end. A child personality that was severely abused has an underdeveloped conscience and therefore, if angry can do things in retaliation. I could write pages but, will refrain from doing so. I too love to write and an avid reader. I am excited about this topic of why I revert to defenses I have failed in this. I guess if I invested so much of my Soul to my Father I can do the same for myself. With appreciation and respect for your generosity in sharing of your experience and wisdom with others. I will need to be very selective about exposing my dirty rags. A psychologist said to me when I was 19 and in a session of my Fathers that I can fire a Psychologist and to be aware of my gut reaction in treatment. This is hard for me to apply. Rhonda, one of the themes of my book is that our defenses are always with us and that, in times of stress, we tend to fall back into our old ruts. Defenses never go away, but we hopefully learn to identify them sooner and make the choice to try something different. All the best to you in your journey. I love the cover of your book and I am really looking forward to reading it! I will buy it on the 29th and I am looking forward to writing about it on my blog. I think it is wonderful that you choose to follow your heart and self publish your book too. I hope it will be a great success! Thanks so much. All the support has felt very encouraging. You make a very good case for buying your book and I will. I’d love to read it and will order, either via Amazon or Kobo as close to 29th October as possible. I’ve enjoyed your posts and interactions with your readers a great deal – thank you for bringing them to us. Facebook is a good way to promote your book. Here are some helpful sites. They are all trying to promote treatment and reduce the stigma often associated with mental illness. Best of luck on your book. I look forward to reading it. Thanks, Elaine. I’ll post something on those sites when the time comes. Looking forward to reading your book, and wishing I felt comfortable enough to leave a review/associate my name with a psychology or selfhelp style book. I also hear you on the neediness. I was shocked when my therapist agreed to take me on permanently – I couldn’t believe that someone so incredibly talented, intelligent and professional would have any availability. Silly, isn’t it? It sure is, but I understand. Even if you don’t want to leave a review, I appreciate the support. That’s very kind of you, Kimberly. Thanks! I will be buying your book, Dr. Burgo, and look forward to reading it. I stumbled upon your blog yesterday after Googling “rage turned inward” (I’m sure you can figure out the context). It’s the great gift of Google that it so often has led me to exactly what I need but didn’t know I was looking for. I am two months into my psychotherapy journey and still looking for help understanding what I am doing and going through and your beautiful writing provides so many helpful ideas that I couldn’t imagine not buying your book on Oct. 29. I do believe in supporting the many generous writers who share their expertise with the world. And with no advertising support! I hope you will continue this blog. I know I will be a faithful reader. And I hope we can drive you to the top of the Amazon bestseller list! I will definitely keep writing, Susan. And I also hope we can drive me onto the bestseller list! Why not call local psychiatric hospitals and ask if they have the book in their in-house libraries yet? Can`t hurt! I’ll give that a try, too. Thanks. The self-referral you described isn’t just about neediness, it could also be perceived as hubris (and that was my first thought when I read your story) which is definitely a deal breaker. Also it sometimes happens that one asks a specialist for a referral knowing that the specialist in question is not going to work on the case for reasons other than his competence or availability, for example a conflict of interest (do therapists have the equivalent of these?) or a personality mismatch. And congratulations for the release of your book! 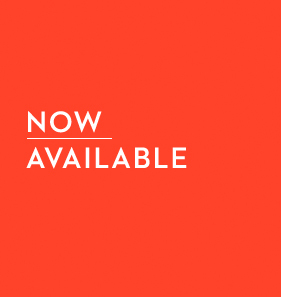 You probably want a visible “Book” link on the top of your pages now and/or a “New Book! Buy it!” frame in the right column. Good points all around. I’m working on the website redesign for a “Buy it Now” banner. And yes, therapists do have conflicts of interest. For instance, I wouldn’t see the spouse, close friend or close relative of one of my clients. I wouldn’t see anybody I socialize with. What about asking a psychology professor ( assuming you know one I guess?) to make it an optional text? Let me give that one some thought. It’s a touchy issue, asking someone to use your book in a class. What if he or she doesn’t really like it but doesn’t want to say so? Congratulations on your book! It sounds great and you certainly came up with a terrific title. As an author, I want to assure you that having a publisher doesn’t mean I don’t have to work hard at marketing. I write mysteries, though, so I can’t direct you to the reviewers you need. My recommendation is to join professional non-fiction writing groups. Instead of reinventing the wheel, you’ll learn what other authors found most useful. In addition, I’d hop over to Linked In and join some of the non-fiction marketing groups. You’ll find a lot of marketing and publicity professionals there who write articles on the subject. I’m also under the impression that people in the news business often look for authorities who can explain why we do the things we do. Again, I’m not in a position to steer you to anyone, but you might make yourself available to the media. Excellent advice, Krista. I’ll do just what you say. Thanks. like the new (and mobile friendly!) theme on this site. Thanks, but there has been a mix up with my tech guy. I didn’t want him to institute these changes so early and I’m not sure I like them. Can you ask him to put back the search function? The changes make your site hard to read, and find things. It’s doesn’t seem as clean and functional as it was before. This format doesn’t work very well. It was a major mistake on the technician’s part but now it’s fixed. Sorry! I’m looking to get back to my blog. I’ll buy the book when it becomes available and it’d be a good project for me to review it. I Love the honesty of your writing so will be looking forward to buying your book when it is available on the 29th. I just checked the profile, if you don’t mind me suggesting it might be worthwhile to enable prospective buyers to view the book inside. That often helps me to get a feel for the writing and whether to buy. I will do that as soon as I make the book available through Amazon. Thanks! I have Oct 29th on my Calendar & will also pass the word around to my small circle who I think would enjoy it. Best! I like this format better. The other looks and feels generic and impersonal- like all those other sites. I feel you are amoung us all on this site but the other new one that came up made me think writers could answer the posts. Am I the only one that didn’t care for it? I think only one person like it — most everyone else hated it, like me. The tech person completely disregarded my instructions. Buying books of people and professionals who I meet online and personally respect has become a hobby of mine in recent months. I hope to get a copy on or about the 29th of October and to spread the word. Yes, everything you have done is worth far more than $15. I will most certainly spread the word too. If you are going to be in Good Reads, I will also review there and spread the word. there. Also, I will follow you as an author if you will be there. I have enjoyed groups where we read a book at the same time and it is even better if the author participates. Thanks, Barb. I’ll send you an advance copy by email right away. I’m very grateful for your support. You became successful the minute your motivations for this site were revealed as selfless. For those very reasons your words and wisdom need to have airtime. You have much wisdom to share. The truth be told, you have something to say which helps people make sense of their emotions. I want your book to have great air time. I’d like to just take that compliment, but it isn’t really selfless. I get a lot of praise from people for the work I do and appreciation for my writing. They both feed me. Hi , will be ecstatic to read your book ! Am I the only blogger from Australia ? (we tend to stick our head in the sand down under ! ) I will happily post on my fb site and pass it on to some beautiful therapists that I have met over the years , I know how much they and I will appreciate it and post reviews . Thank god there are people like you out there , you restore my faith in human nature , you have given me wisdom, strength, knowledge and a desire to seek out the best in me and in the world . For that I send my love half way around the world and wait in anticipation for your book . I appreciate your site, your posts, your video’s and am especially impressed that you really do reply thoughtfully and honestly to each (almost) post. I will be happy to buy your book and spread the word. Sometimes there’s nothing to be said in reply and sometimes engaging with a reader feels like it might be a problem, but I do try. As soon as I have some, Bob, I’ll let you know. Several bloggers at PsychCentral will be reviewing it next week and there are review copies out with quite a few publications. I have your new book on my iPad and I have to say it is brilliantly written! I hope lots of people take the time to read this insightful piece of work. Im avoiding reading very much at the minute as its been a massive pattern of avoiding for me, escaping into reading and theorising, i have a stack of self help books, now im focusing on the doing for now, its what feels right for me at the minute! there are one or two self help books that did really have made a difference in my healing journey, heres to yours making that difference for many across the globe! worked and so didn’t then seem to have been related to my analysis. But there may be a.distinction between complaining that analysis was causing my not being able to fall asleep and it being a defence mechanism? I think on Friday we will be looking at my getting back to sleep.hygiene ( pragmatic) AND how I am resisting it now especially as I now know.what I SHOULD be doing to help myself. I have read both your books (the one on defences and the other on extreme narcissism) and would like to congratulate you. It is extremely rare to read psychoanalytic books that are so illuminating. I shall certainly be posting good reviews on Amazon. I would like to suggest another topic to you for another book: loneliness. Like narcissism, it seems to affect all of us to some degree – even to have reached epidemic proportions – and, like shame, it seems to be very difficult to talk about, acknowledge, and understand. Because you seem to have the gift of honing complex ideas and feelings down to their essence, I personally would be very grateful if you were to write a book on this still neglected topic. Thanks, Gill. I will give that one some thought. I’m not sure I have a book’s worth of thoughts and insights on loneliness but I like the topic very much.